An exclusive Air Jordan I Retro that will be auctioned off for charity here at Sole Collector. 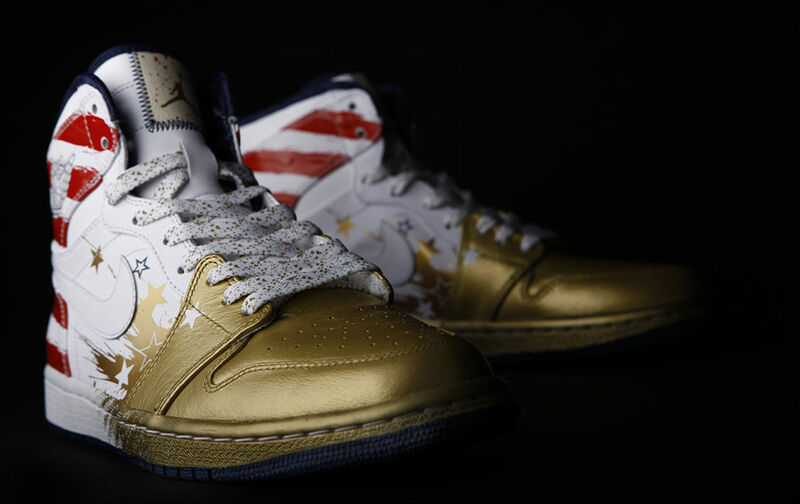 For a chance to bid on these limited-edition Air Jordan I shoes, click here. When it comes to iconic kicks, few shoes can compete with the Air Jordan I. From its boundary-pushing color scheme, to its legendary Wings logo, the Air Jordan I was, and still is, a groundbreaking shoe. It’s only right that it was the model chosen to help launch WINGS for the Future, Jordan Brand’s new corporate responsibility program. And the only place you can get your hands on a pair is by visiting auction.SoleCollector.com for your chance to purchase one of 23 pairs being auctioned off, with all proceeds benefiting WINGS, and its partner school, Inglewood High School. 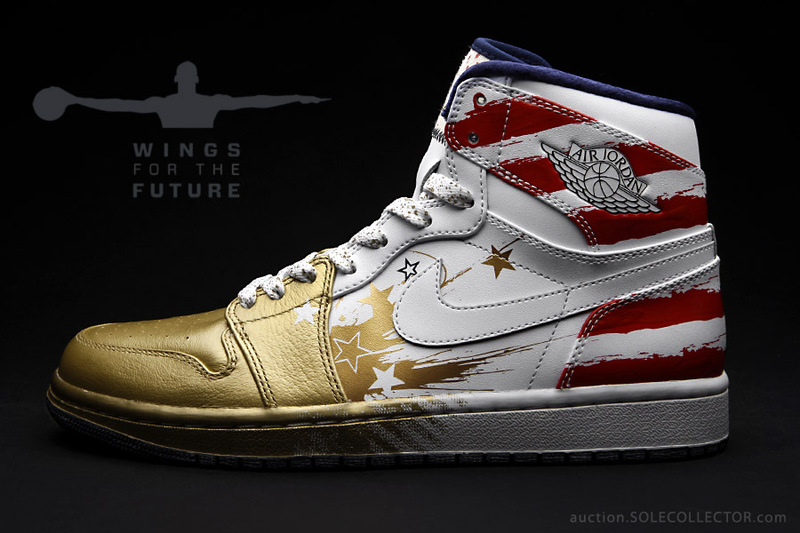 This isn’t just any Air Jordan I being auctioned off, though. 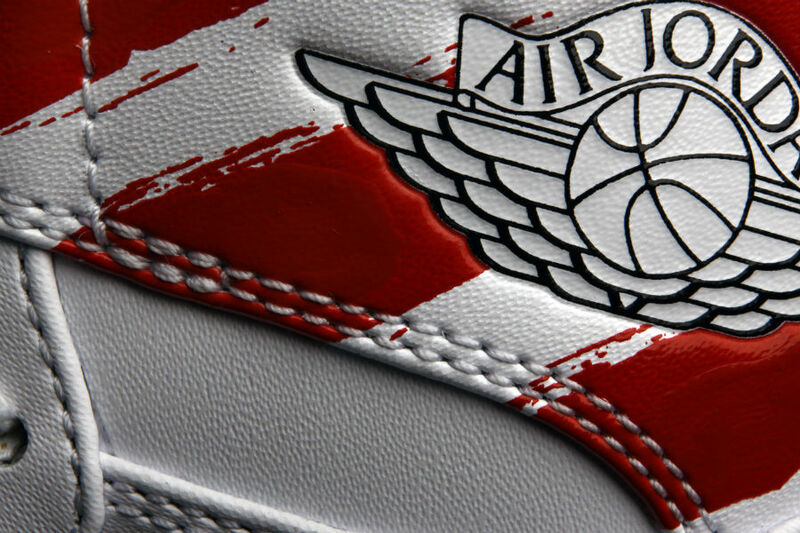 Jordan Brand has collaborated on this extra-exclusive pair of kicks with UK artist Dave White. 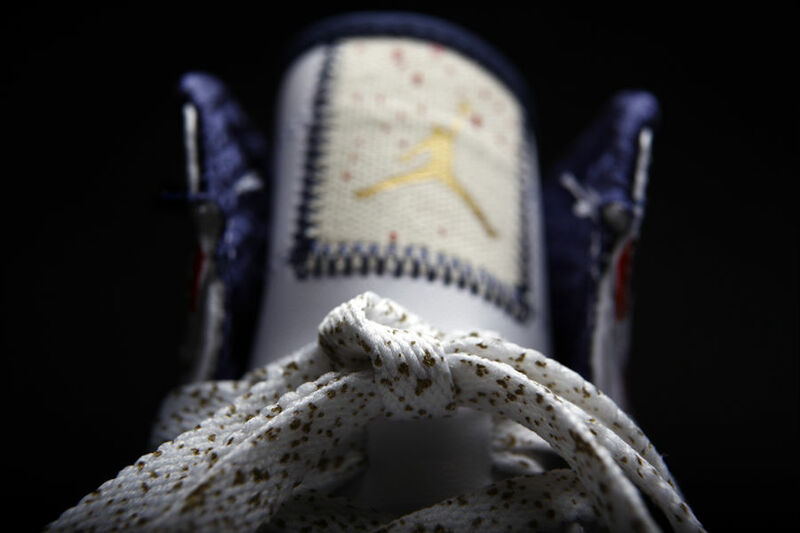 The project came about when Jordan Brand Art Director Dave Frank reached out to White based on his respect for White’s work. That set the wheels in motion for what has eventually become the Air Jordan I Retro DW. While White may be best known by sneakerheads for his work on canvas, this time around, the sneaker has become the canvas, sporting his instantly recognizable style of artwork across every facet of the shoe. “Going in, we really wanted to find ways to mimic both the energy and movement of his art, as well as have some nod to the heavily built-up paint medium that he works with,” explains Frank. 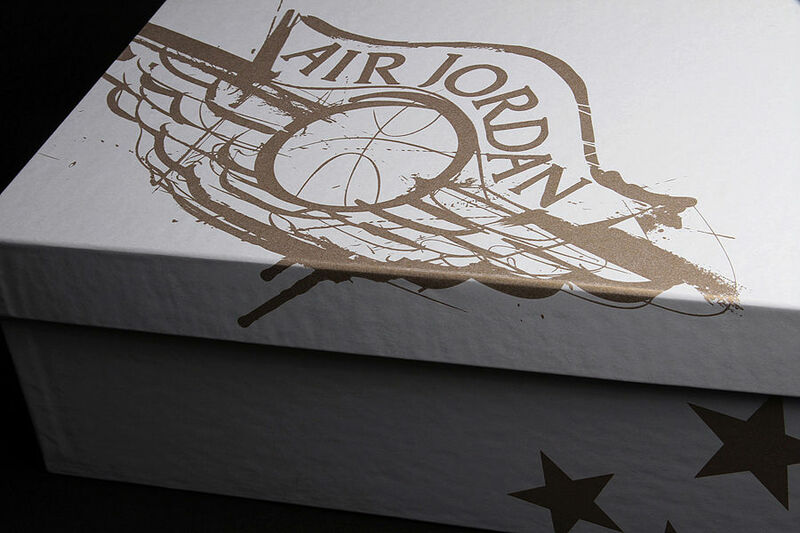 “I think one of the goals that we all had was to make sure that we were doing more than just a graphic application on the shoe, and that we were being overly sensitive to material details and finishes.“ This project allowed the team at Jordan Brand to perfectly tie in the creativity pillar of the WINGS for the Future initiative. 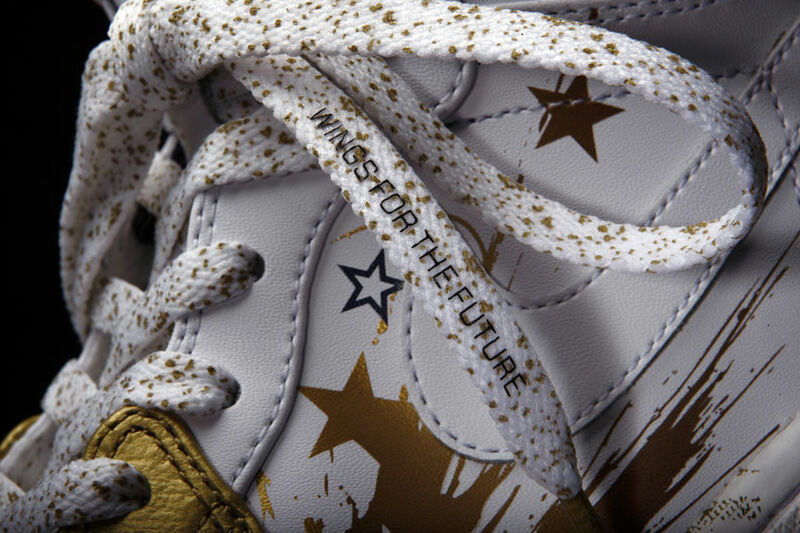 Beginning at the toe, a metallic gold paint covers not just the upper, but the midsole as well, eventually transitioning to white via White’s signature style. The stars in the shoe’s midfoot are another trademark feature of a White painting, and again help tie the shoe back to its collaborator. Wrapping the heel is a series of stripes, which are actually Dave’s own brush strokes that have been recreated and screen printed on the leather. Over these stripes, an additional layer of paint was added by hand to build up the thickness and replicate the texture of White’s work. 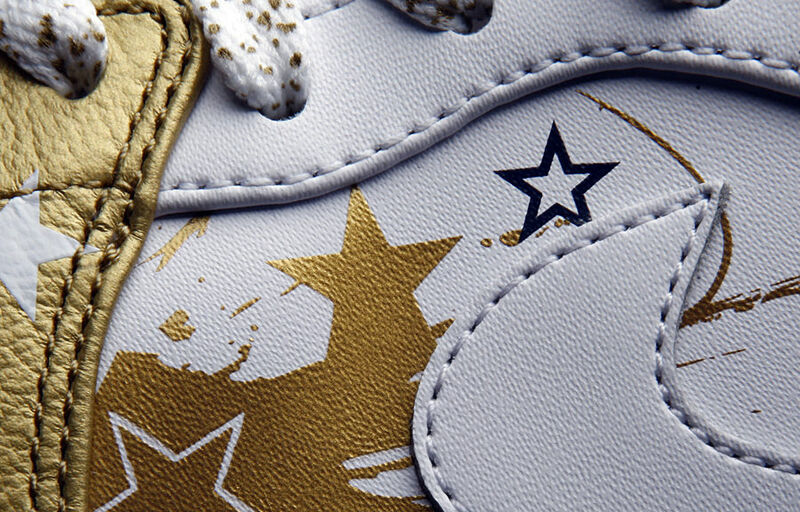 The hand-painting of the upper isn’t the only premium feature of the shoe. EMP, short for environmentally preferred mesh, which was first seen on the Air Jordan XX3, has been used to line the interior surfaces. Premium canvas – a nod to the traditional surface White uses for his art – has been utilized for the tongue tag, and adds another layer of complexity to this already texture-rich shoe. 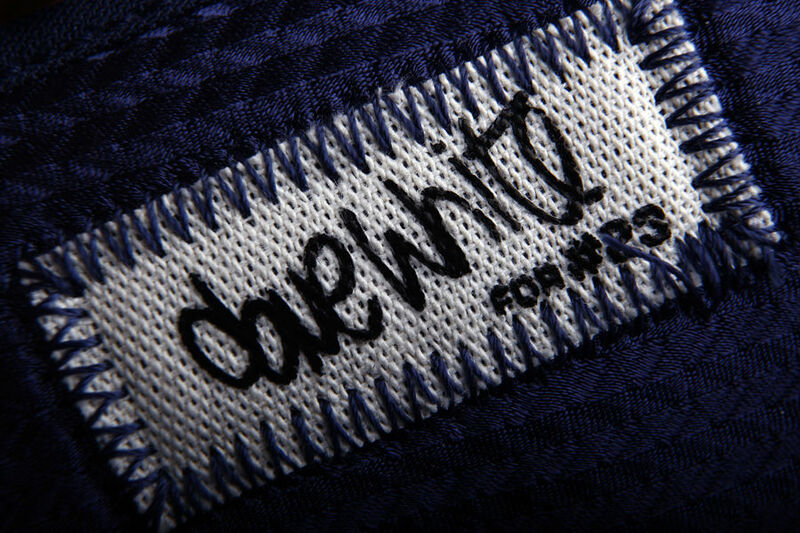 Hidden features include a tag highlighting Dave White’s signature behind the tongue and a lasered sockliner. 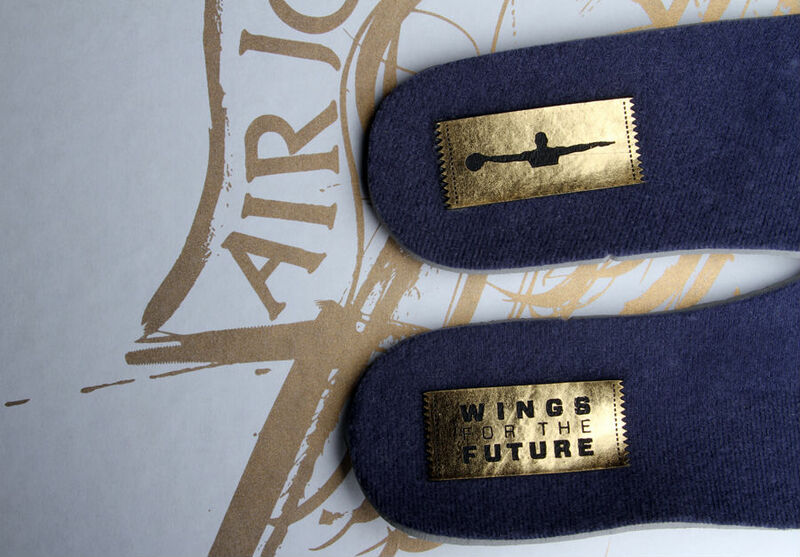 Extra attention has also been given to the laces, which read “WINGS for the Future” near the tips. Even the box has been given a makeover, featuring a Dave White-rendition of the Wings logo. This project has given White a chance to not only work with a brand he’s passionate about, but for a cause that’s close to his heart as well. In conjunction with this project, White will be advising a group of Inglewood High School students who will be painting a large mural outside the school. “I even said to Dave [Frank] [that] working with these kids and giving something back of that magnitude is better than working on the shoes.” Everyone else has the opportunity to contribute to this great cause as well. The auctions will be live within the next 6 hours, and will end at staggering times beginning Monday the 21st at 12:01am. Click here for all the details on how to bid. 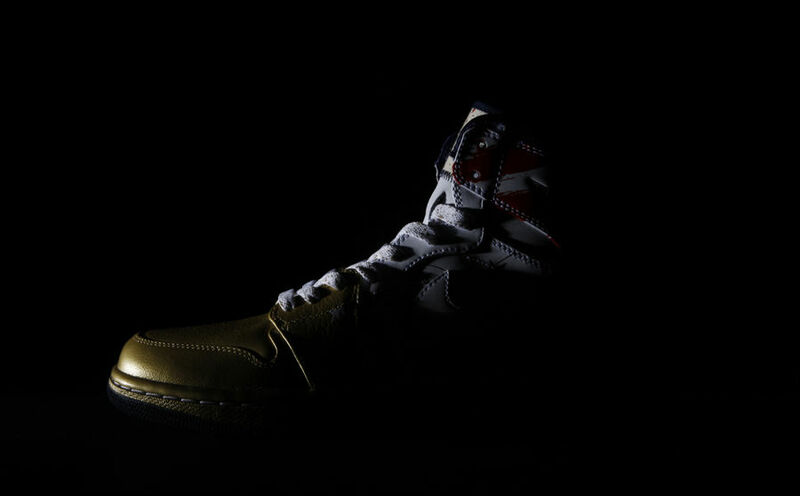 To read an exclusive interview with Dave White detailing the Air Jordan I Retro DW Project, click here. To learn more about WINGS for the Future initiative, click here.